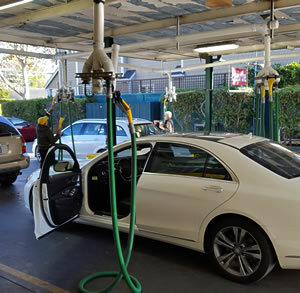 Monthly Unlimited Car Wash Passes starting at $29/month! Ducky's car wash: The finest brushless car wash available! Ducky's car wash utilizes the latest in car wash technology. 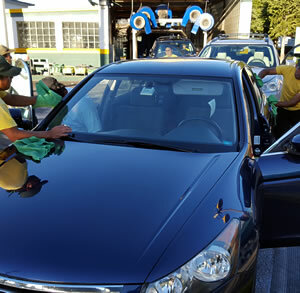 A state of the art computer system ensures that each customer's car gets exactly the right amount of soaps, cleaners, and waxes to make it shine like new. Our Soft-Cloth Wash System uses recycled water which is thoroughly filtered by our reclamation system to guarantee clean water, free of any dirt or debris. Research has shown us that a Soft-Cloth System is far superior to “touchless” & “hand wash” systems. Experience the best. The best in brushless technology, recycled, filtered water, free of any dirt or debris. 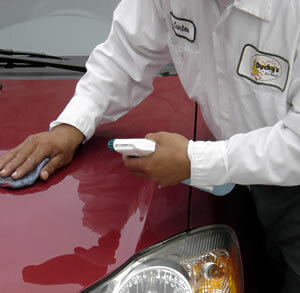 Ducky's crew will bring your car's interior and exterior back to life! Singup for our mailing list, and get valuable coupons right to your inbox! Great customer service! Came late battling traffic, my dog had an accident on the back seat and I explained that to the manager Sergio, which told me their detail department was already closed but that they will do as much as they could to help me out with that. he was really accommodating and all the staff was too! I'll definitely come back here.. Smiley faces and no bitter faces like other establishments that make you feel guilty. They even gave me a toy (plastic duck) for my dog! Today I was in the area and decided to give Ducky a shot one last time and they finally came through. I asked for a basic wash mainly because in the past even when Id get a deluxe or super wash it was still mediocre. I also asked for deep vacuum because of dog hair. This visit they did not disappoint. When my car came out of the tunnel wash, one of the guys noticed it wasn't vacuumed well and they took it back and redid it. When I got my car it was spotless. I was very impressed with this visit and hope they will keep it up. On the rare occasions we decide to give Blue a bath, this is the place to go! We usually have coupons so we can get a little extra...conditioning the leather seats, cleaning of the car mats...etc. The wait can be a bit long when it's a nice day out- everybody goes in droves to clean their car. Tip: they do offer cheaper washed before 9am and if it rains the next day, you can get another wash for free.